Maria Luchsinger is signing her new book! 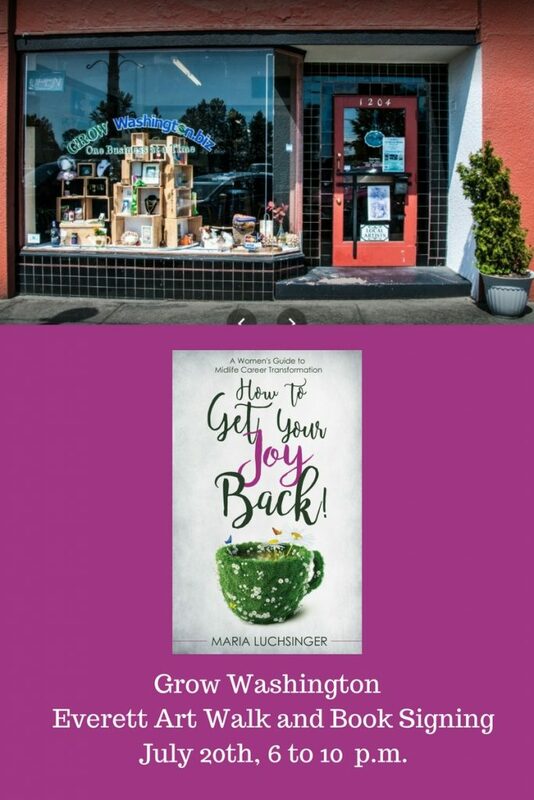 The Grow Washington Store of Everett at 3013 Colby Avenue will be hosting the Everett Art Walk and a book signing with Maria Luchsinger. Maria will be sharing her new Amazon best-selling book, How to Get Your Joy Back! : A Women’s Guide to Midlife Career Transformation. The event will be held from 6:00 p.m. to 10:00 pm. on Thursday, July 20th, 2017.